Electrical estimating system that enables custom assemblies creation, provides quoting tools, multi-conductor feeder and HVAC options. Work for 1st Choice Electrical Estimating System? Learning about 1st Choice Electrical Estimating System? 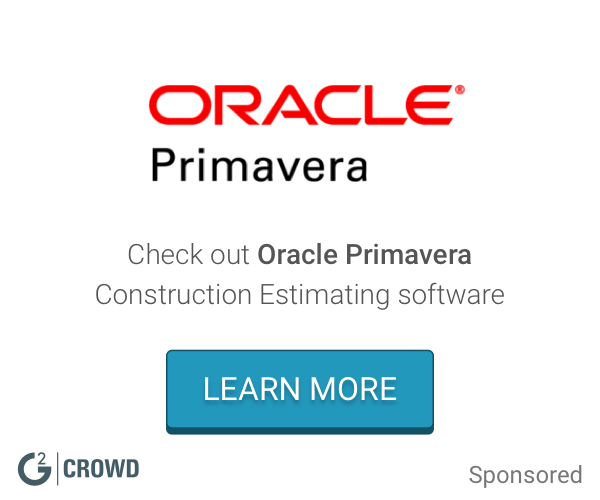 What Construction Estimating solution do you use? Procore is an online construction software for project management, cost management, communications and collaboration. Quick bid estimating software and on-screen takeoff software for the construction industry. EclipseCS is a cost control system from estimate to final account. Sage Estimating is a software solution designed for the construction and real estate industries that provides electronic takeoff, cost database, job costing, project scheduling, and more. Core Associates is the proud maker of TimberScan, the leading AP approval processing and content management software for Sage CRE. Oracle Prime Projects Cloud Service is a complete, cloud-first project management platform that enables team collaboration and real-time visibility across the project lifecycle. By integrating the management of project portfolios, schedules, tasks, resources, costs, field teams, documents, and risk into a single platform, Oracle Prime Projects delivers complete project success. Trimble Accubid Classic is an electrical estimating software solution that facilitates the complete construction workflow, from electrical estimating to purchasing, project management and billing. * We monitor all 1st Choice Electrical Estimating System reviews to prevent fraudulent reviews and keep review quality high. We do not post reviews by company employees or direct competitors. Validated reviews require the user to submit a screenshot of the product containing their user ID, in order to verify a user is an actual user of the product. Hi there! Are you looking to implement a solution like 1st Choice Electrical Estimating System?